If you’re looking to grow your business, it’s important that you’re organised and set up for a productive year ahead. There are a lot of elements to running a small business, and keeping on top of everything throughout the year means that when it comes to key moments, like tax time, your expenses and transactions are organised and ready to go. As a small business, your time is one of your most important commodities – so how can you optimise your time? One of the best ways to stay organised and boost your productivity is to maintain an organised work space. We’ve put together 10 ways you can reduce your task list and increase your output such as improving your email workflow, organising your tasks, and automating as many processes as possible. It’s a new year and that means a fresh start. It won’t take you long but it will leave you feeling uber productive and rearing to go! Take the time to clean out and clean up your drawers and work space. Pull everything out and wipe down the space then sort your items as you replace them to clear out some of the items you no longer need. Working in a tidy workspace has been found to reduce the bugs lingering around, leading to less sick days while also reducing the stress levels of the employee. Clutter can also cause distraction and result in wasted time looking for certain documents and items. While there’s less paper around now as business is moving towards digital and cloud-based solutions, we’re bound to have some documents and bits of paper in piles lying around. Grab them, sort them and file them away so they’re out of your way and you can start the year with a nice, clean work space. If you have a lot of notes, you may like to consider using OneNote or Evernote to keep all your thoughts, to-do lists and projects all in one place in the cloud. Clean out those emails! Only keep the ones you will need again, such as important references. Start by clearing out your inbox so you know where your emails are at and then clean out the files to ensure you only keep what you’ll need in the year ahead. If you have multiple email accounts and calendar bookings, there are a number of apps that can help you stay on top of your inbox, such as Microsoft Outlook, Spark, and Gmail. These apps will take all your emails and categorise them, bundling different types of emails together so specific emails are easier to find. Stop the back-and-forth emailing to arrange meeting and events. Instead, utilise an app such as Calendly. Simply let Calendly know your availability preferences, share the link with your connections and it’ll do the work for you. Do you have websites you like to check for updates and blogs you like to read for industry news? Make things quick and easy by creating one place for all your online sources. Reading lists such as Feedly allow you to scroll through all content in one place, while Pocket is a place for you to store all of those articles you want to read later so you don’t have to save them all somewhere! Did you know that your workspace can affect your productivity? Here’s some ways that have been found in studies to keep the work flowing and allow you to get the most out of your space and grow your business. Bring in some plants. Not only do they increase the air quality but research shows they can increase productivity by 15%. Try to work near the window to get some natural light in your area. Take a walk and have breaks to stretch your body. Research shows that taking a 5 minute walk each hour reduces fatigue and food cravings and increases your mood. Tidy up the cables at your desk so they’re out of the way. Only keep the essentials at your desk. If you don’t use it every day, pop it away for when you do need it. However, having a couple of reminders of your purpose at your desk is recommended to help you focus and stay on track. Just remember, think minimal. Customers are integral to any business, so it’s important that you’re communicating with them effectively and managing customer expectations. To stay on top of your customer enquiries, try using a program that develops tickets for each customer such as Groove and Zendesk. Do you find yourself taking the time to post on social media each day? With small teams and tight budgets, you want to get the most out of your campaign, including saving your valuable time. Don’t stop what you’re doing to publish posts each day, instead plan out your entire campaign and schedule your posts ahead of time. Tools such as Sked Social, Facebooks scheduling capability, and Hootsuite, allow you to load your posts as far in advance as you like. Then all you have to do is a quick check to see if they look great! Expenses can be a pain to keep track of but putting in the work to keep on top of your finances now will make tax time a whole lot easier. Apps such as the ATO app allow you to take pictures of your expenses and receipts, keeping them all in one place for when tax time rolls around. To keep track of expenses each week, you can also try softwares such as Expensify, Quick books or Xero. These programs automate the expenses process by keeping track of receipts, arranging reimbursements and more. For freelancers, keeping track of your billable hours is essential to getting paid correctly. Programs such as Toggl can help you easily monitor and record your time allocations throughout each day. Even if you’re not a freelancer, you may even like to give this one a go to see where your resources are being allocated. 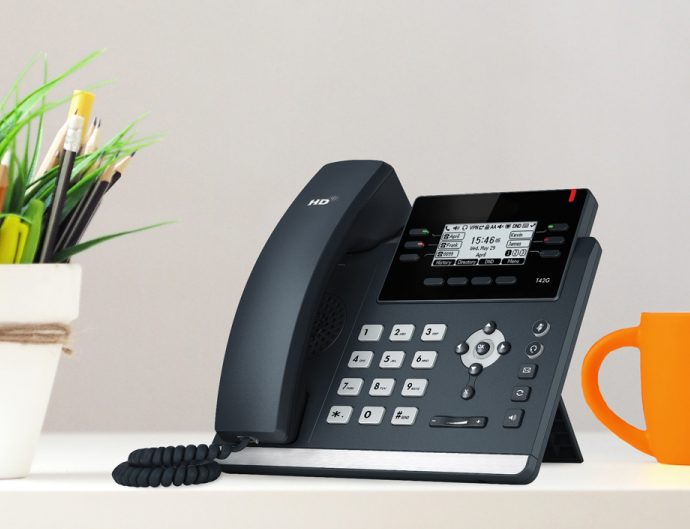 Talking to your customers is at the core of any successful business strategy and one of the best ways to do that is with a phone system such as iiNet BizPhone. As customer demand increases and your business grows, upgrading operations can bring with it a number of new requirements that can seriously increase your overhead costs. Luckily, BizPhone is Australia’s best value small business phone. Whether you’re looking to split sales and customer service enquiries into separate call queues, acquire additional phone numbers, set up call forwarding to mobiles, arrange customised schedules, or even hire a full-time receptionist who needs switchboard software, BizPhone has the solutions for you. What’s your biz tip for a fresh start to the year? Share it with us in the comments. I would like a Voip SIP trunk solution with 2 trunk lines , and no hardware included. We are on NBN wireless. Can you help? How much does it cost to get the iinet biz phone. You’re always welcome to have a chat to our Business team via 13 86 89 -they’ll be able to help you decide which product is right for you. Thank you for your article, I enjoyed. Thank you Kim – I’m glad you enjoyed the article! If you need a hand doing this, feel free to get in touch with our team by phone on 13 22 58 or via email to support@iinet.net.au to have us take care of disabling the diversion for you. I hope you get this as I am not very tech savvy and didn’t know any where else to send it. If you receive any phishing or spam emails attempting to solicit personal information from you, you can report these to us directly through forwarding the email as an attachment to us via the address ‘abuse@iinet.net.au’. We have been on NBN for quite a few months. We are constantly dropping out which means no landline as well. Tech Support have tried resolving it and the latest is that Telstra were doing something in our area and that they would be finished by 31 Jan so from 1 Feb we should not have anymore problems but we are! I guess it’s Telstra being behind. Or any other suggestions. Thanks for taking a few moments to stop by. We believe we may have located your details, so we have asked our team to get in touch with you to assist. I live in the Dunsborough area and am fortunate to still have a very good land-line connection. However over the festive season for approx. 6 weeks it was a nightmare attempting to log on to internet or smart TV (Dunsborough is an extremely popular holiday place over the festive season). What steps are taken by iiNet to assure connection for long-term customers living in the area during such a peak of activity?? This is an interesting question, as it does depend on what network and/or wholesaler that your connection runs through. In all circumstances, standard troubleshooting and fault processes apply. From there, if the issue is found to be within our own network, we take the appropriate steps to ensure that the best quality connection can be delivered with adequate capacity. If the issue is found to be outside of our network, we then query the relevant wholesaler as to what actions are being taken to improve service. Having said that, we also need to be mindful that we have no control over these wholesalers and their networks, as it is up to them to ensure a set quality of service.